This floor was about 70 years old and was in really bad shape. It was dirty, and the tiles were uneven, causing a trip and fall hazard. There were holes and scratches that diminished the overall appearance. In order to restore this marble, we used several different processes. 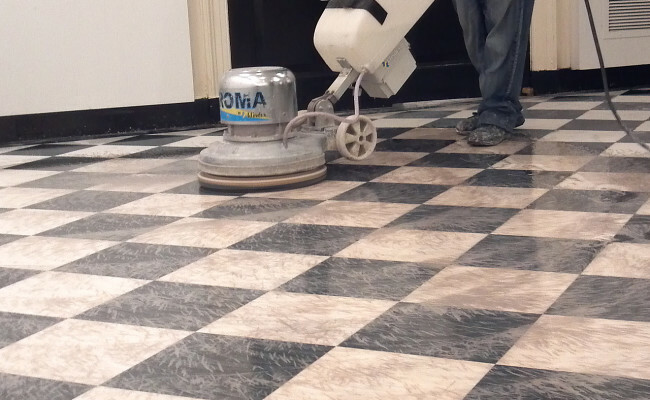 First, we used metal diamonds to flatten the floor and eliminate the trip hazard of uneven tiles. We then filled the holes with polyester resin, color matched to the stone and with various special grades of adhesives. We also filled in and replaced any missing grout. To remove scratches and other surface damage, we honed the surface to an 1800 grit, and then we restored the beautiful shine using MB-18 Marble polishing powder. We finished the process by crystallizing the surface for added protection. After completing these extensive processes to refinish the floor, it looked better than new. 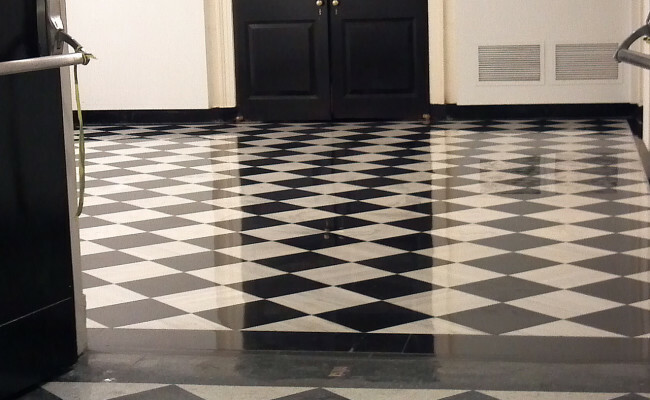 To learn more about marble restoration, visit our Marble and Limestone Services page. For a free estimate on marble and limestone repair, restoration, and refinishing in NJ, NY, and CT, contact us online or call (888) 400-4302 today.